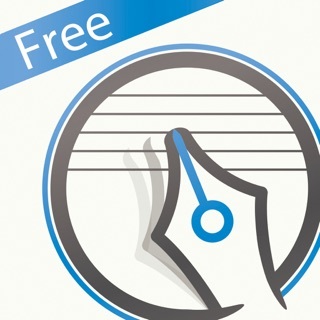 Songtive is a songwriting tool, band and social network for musicians of all levels. Songtive allows you to compose, experiment with arrangements for songs provided by the Songtive community or songs you have created yourself. 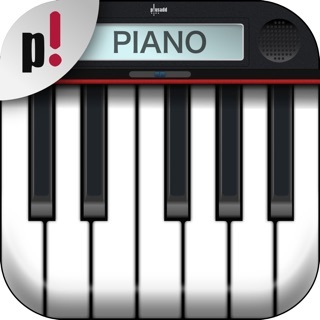 It helps you to organize your favorite songs and chord charts, and to share them with your friends. 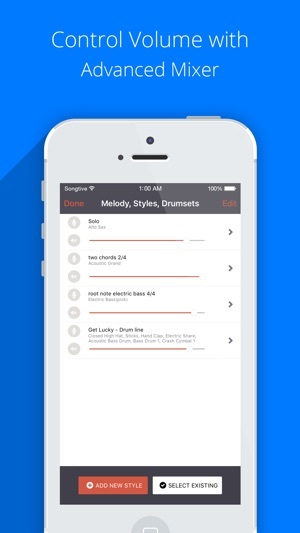 It's easy to use other users’ styles or drumsets for your own songs. Just choose your style (or styles) and Songtive will do the rest. For greater flexibility, you can create drumsets and attach them to your song, with different drumsets and styles for intro, outro, and the start/end of particular sections. Choosing a style does not restrict you to one instrument. You can create styles to play flute for only the root note of song chords, adding another style to play arpeggiated chord. 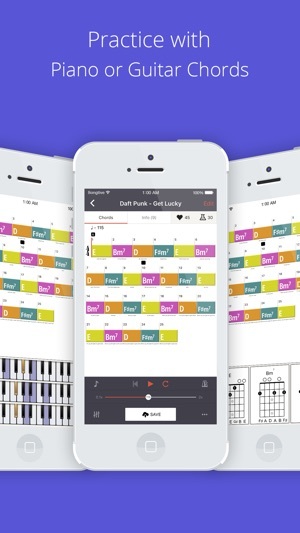 Song Editor helps you to quickly find chords and set alternative names for them. 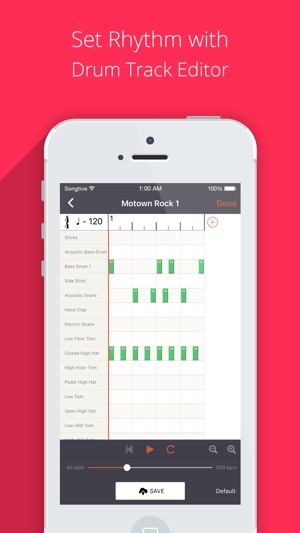 If you don't see the correct alternative chord name, just send us your request and we'll add it at the next update. 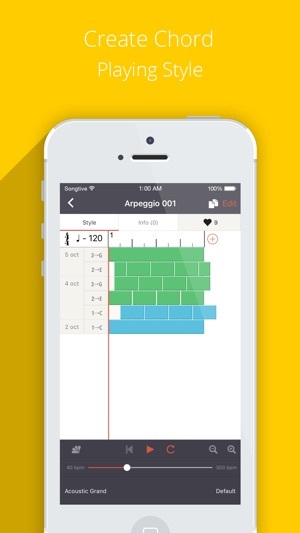 You can use Songitve for lots of different ways - you can practice a song with the help of guitar & piano chords. You can create arrangements and use it as electronic accompany band or just use Songtive to compose a unique ringtone by exporting your composed music/songs. • Share your records via Facebook, Twitter, Google+, etc. Enjoy, and stay tuned for more updates. This is only the beginning! Extended number of available chords. Love the app? Please rate us - each vote is very important for us. Your feedback keeps us motivated to continue developing it. 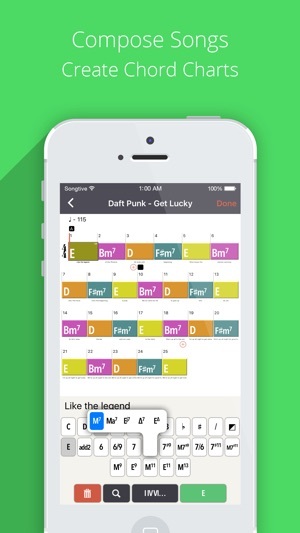 Lacks ease of use and good presets, but I can see this app being awesome for beginners to advanced musicians. Imagine you have this chord progression and want to expand on it. Am to F to C then G. And you want to hear different arpeggios at the click of a button to see what style fits right as your picking chords. Perhaps a 4/4 guitar arp, or a 6/8 slow arp. Pick inversions. It can do all that, but takes much effort. Need a few good solid presets, and easier and faster to use. 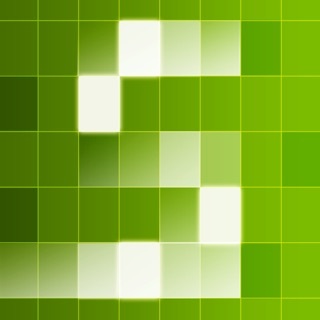 This app has potential, just needs to be cleaned up and make it more user friendly. This first version is a good start but limited. I am looking forward to improved UI in future versions and see how this app evolves. Please be specific in product description about what features are included in basic version vs. pro upgrade. Make your app more polished before start marketing on Twitter. Two star for the app quality, minus one for marketing.